My son had summer camp with TAC last summer and enjoyed very much, so he had weekly classes at Adventure Valley and Cresent School. Coaches are nice, knowledgeable and attentive, he liked your program and his soccer skills has improved a lot. He even attended the competitive tryout session. Furthermore, when I was booking the classes, I had some schedule conflict so cannot make it for the whole period, you were kind and followed my schedule. Thank you for the coordination. What an amazing staff! Very friendly, fun and courteous. My daughter loved the camp and could not wait for the next day to go back. She wanted to go early and be picked up late. Every day when I was picking her up she was asking me why I came so early even though I did not! Out of all the classes or camps that she has gone to, this was the only one that she was super, super excited to go to. She has liked other camps too, but this was different. The staff there made a huge difference between this camp and others. Great job!!! Thanks for sending the report card and the picture. All of the coaches have been excellent! They are always friendly and positive when engaging with the children. It has been an excellent experience and we would definitely register again! Alex had a wonderful time at at the World Cup Soccer & Swim Camp (July 21-25). He was excited to attend camp each day and came home talking about all the soccer players they learned about at camp. The coaches are fantastic, with an abundance of energy and enthusiasm. Alex’s favourite part of the camp was being able to bring his water gun for the water games and showing off his cool TAC Sports shades to his friends. I was extremely amazed by the huge improvements in Alex’s soccer skills in one week! To top it off the progress reports for soccer and swimming are greatly appreciated. Thank you for the abundance of beautiful pictures taken of Alex during the camp. They are deeply treasured. My daughter tells me all the coaches are fun and very helpful. She told me she didn’t like tennis when I signed her up. Now, she can’t wait to play after school! As a parent, I really like that the three coaches come out and speak briefly with the parents. The coaches are motivated to ensure that each child gets the best experience while in the class. They boost the children's confidence by giving positive reinforcement. It’s really nice to see. I’m very happy they will also be returning in the spring. These weeks have been a very positive experience for me as father and for my two children as well. I can attest that all of the coaches have great skills to deal with kids. At the same time, you can tell that students understand and learn the game itself. I was impressed with the personal approach you take with each student and you can tell that the kids have improved technically a lot as well. It is a pleasure to see you work. Of the numerous camps we've put our two kids in, TAC Sports is, by far, one of the best camps in Toronto! The coaches and staff are amazing and you can tell they all genuinely love kids and love what they do. We have our youngest little guy registered there for this summer. He gets ready each morning with enthusiasm to see his coaches and comes home excited to talk about what he's done throughout the day. We highly recommend TAC to parents who want their children to have a positive and memorable experience with sports/athletics. Our son thinks that this is the best camp in Toronto! He attends every year for 3 programs, with one program always being the day camps. He is looking forward to going back next summer! I put my 4 and 7 year old in the camp (tennis and martial arts) and both enjoyed it tremendously and want to go back. The kindness, expertise and fun-loving attitude of each and every coach was well noted by my kids and me. The coaches were young and energetic, yet very professional in their approach. All inquiries to the management team via email/phone were promptly responded to in a courteous, polite, knowledgeable and very professional manner. They took their time to explain to me their philosophy in teaching kids sports and I could tell that they were administratively well run and serious about their work. All of the staff were very kind to my son and always gave my son encouragement and praise. Abundant thanks to all of you for your patience, expertise and genuine concern! My son also loved the hot lunch program! My kids went to TAC Sports for the first time this July, and they had the time of their lives!!! They have already asked to go back for a whole month next year! They could not stop talking about Coach Pele, Coach Ben, and Coach Renee! They were up every morning before me and packed (soccer cleats, shoes and shin pads, their swim suit, towel and goggles). They learned a lot, which I like, and it was always done in a fun and enjoyable way. I also appreciate how TAC Sports gives personalized feedback at the end of camp. They have been to many camps and, "Mom finally got it right". I'm was pleased to find a program that focuses on skill development and discipline in addition to fun. It's great to start children as young as 6 in a structured program that builds their skills and their confidence. Thanks for being very flexible in letting my son try one day before committing to the entire week. Coaches gave daily feedback on progress. My son learned several new skills over the week. He can't wait for spring to arrive to test out his new tricks. My son loves TAC Sports. The coaches are phenomenal, and my son learns a tremendous amount while having an amazing time. Every morning he is excited to go, and returns home full of enthusiasm... but completely exhausted. I found TAC coaches very committed to help my son improving in his favorite sport.They are knowledgeable & dedicated to help all kids achieve their goals! I am so grateful that they also lead my son to try other sports experiencing his potential in other field as well. My son is enjoying every single session with TAC and I can see he is progressing very fast in soccer since he started. I continue to be completely satisfied with all your programs (weekly, winter and March break, summer). The organization is always superb and the staff outstanding! My son is consistently encouraged and challenged to improve his skills and to have a great time doing it. I appreciate the quality of the feedback you provide and the emphasis you put on each player's continuous improvement. Your staff are always so friendly, attentive and helpful. We couldn't be happier to have found your programs and recommend them to everyone. My son expressed a desire to play soccer in summer 2015. 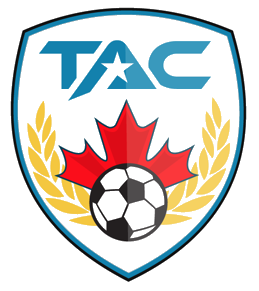 After reviewing several soccer programs we selected TAC due to pricing, location and positive reviews. He participated in his first session in Fall 2015 and was very happy with all the sessions. He mentioned how much fun he had and how much he learnt. I was personally impressed with the child to coach ratio and the attention given to each student. TAC seems to be very organized and pays close attention to details. The students responds very well to the methods of teaching which includes fun activities geared to the appropriate sport. Overall, I am very impressed. Our son has reacted positively to the instruction given. If there were additional days during the week for him to participate we would try to join. I already mentioned you online and on facebook but here we go: The best sports camp in TO in my opinion. The staff has been incredible and the kids had a ton of fun. Would like to return for Spring! I am very happy with the program I would like to continue weekly clases if there is any available Thank you very much! Logan absolutely loves tennis at TAC! The coaches are wonderful and he looks forward to the classes every week. We are so glad to have found such a great group to teach him! Thanks again for your continued great work. The level of professionalism of the organization and coaches is bar none. The coaches are terrific with kids of various ages: motivating, empathetic, kind and also demonstrate their expectations of the kids which encourages the kids to genuinely engage and perform. We are very impressed. my son is 5 years and started from November. He wasn't interested in the basketball at all. Now he frequently ask me to practice basketball together and to go to the TAC camp every Saturday. I am really satisfied with this program. Thumbs up to the TAC coaches and staff. My son started loving basketball because of all the attention and positivity of the coaches. They are truly an inspiration to him. Our son loved the November break camp. The enthusiasm of the coaches and variety of sports offered made for a very fun filled week. A special thank you to all the coaches for your warmth, patience and dedication! My son really enjoyed his experiences at the TAC programs. We have tried tennis and soccer so far but will continue to try out more throughout the year. The staff is ALWAYS friendly, courteous and most of all, patient, with all the kids. Max looked forward to attending every week. Very experienced, knowledgeable and caring coaches. They make learning the game so much fun. It is a great programme. Thank you for providing Gabriel and Matthew with an enjoyable experience learning sports. The boys woke up early each morning, excited to go to camp. I wish you had activities in the High Park area. If you ever do, please contact me. My kids went to TAC Sports for the first time this July (2015), and they had the time of their lives!!! They have already asked to go back for a whole month next year! They could not stop talking about Coach Pele, Coach Ben, and Coach Renee! They were up every morning before me and packed, (soccer cleats, shoes and shin pads, their swim suit, towel and goggles). They learned a lot, which I like, in a fun and enjoyable way. They were there during the extremely hot week of July, so I am glad that they were at Maryvale and could get cooled off by going for a swim in the afternoon. I also appreciate how T'AC Sports gives personalized feedback at the end of camp. They have been to many camps and "Mom finally got it right. Excellent camp run by fabulous staff. She LOVED the camp and can't wait to go again next year! All of stuffs are very kind to my son, Especially Slava Blokhin, always give my son encourage and praise. Abundant thanks to all of you for your patience, expertise and genuine concern ! As well, my son loves the kids kitchen hot lunch. I believe this was TAC's first year at St. Joseph Morrow. I was late to sign up for camps this year and worried about slim pickings, however TAC still had availability. I was tentative to sign up as I hadn't heard any reviews from other parents in the area (online FB goups, etc). So I phoned the Director, who immediately put me at ease. All inquiries to the Director(s) via email/phone were promptly responded to in a courteous, polite, knowledgeable and very professional manner. They took their time to explain to me their philosophy in teaching kids sports and I could tell that they were administratively well run and serious about their work. I put my 4 and 7 year old in the camp (tennis and martial arts) and both enjoyed it tremendously and want to go back. The kindness, expertise and fun-loving attitude of each and every coach was well noted by my kids and me. The coaches were young, energetic yet very professional in their approach. Special kudos to Slava who ran the St. Joseph site and was excellent! Great job - TAC. Hope you stay in the area! harry thought it was the best camp he has been to in Toronto,he is here every year for 3 weeks.One week is always camp.He is looking forward to going back next summer.